The Red Lake Grace Bible Church is a long way from Tracy, Calif. — even further in culture than in miles — but a connection has grown over several years. The experiences of Arnold and Bessie Betoney (Grace Brethren missionaries to the Navajo nation), as followers of Jesus are different than ours, but they are part of the same body, and the needs of one are shared by all. This year, we are planning something big. Although the work project ended, some of the women from Tracy Grace Brethren forged a lasting friendship with Bessie and some of the other women. 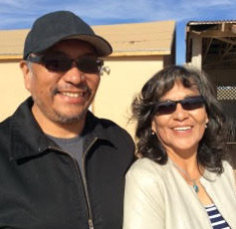 After Native New Life closed, the Betony’s returned to Tonalea, Ariz., where Arnold — a Navajo Indian — was born and raised, to assist the Red Lake Bible Church. Two women from Tracy traveled to visit Bessie and the women at Red Lake Church in April of 2015. Red Lake Grace Bible Church (RLGBC) is a Bible-based church located on the Navajo Indian Reservation along U.S. Highway 160, approximately 30 miles north of Tuba City, Ariz. It has limited resources to serve its materially poor community, which is made up of a population of less than 3,000. There are over 500,000 Navajo living on the Red Lake Reservation, many who are still bound by beliefs of traditional animism. The little town of Tonalea is a headquarters for the local government, but it doesn’t represent the population of Navajo on the reservation. We felt we could and should do more to partner with them, and Arnold, who was serving as youth pastor and assistant pastor at Red Lake, suggested a work project similar to the one we completed in Albuquerque — except this one would support the local economy by providing employment for the skilled workers on the reservation, and procure the building supplies locally. A project proposal was drawn up: the church building at Red Lake currently lacks indoor plumbing or a clean drinking water station at the church premise, and a lack of resources to build a decent and sanitary indoor restroom facility to accommodate the youth, elderly and those physically challenged. RLGBC has drawn a three-acre lease for the purpose of establishing and operating a Bible church with plans to construct a new indoor restroom facility. We thought we could help. We presented the idea at Flinch Conference last summer and found that a number of churches, largely in California, were interested in helping with the project. Working with Arnold and Bessie, we determined a cost estimate and a scope of work and set a plan into place. God is moving! A small team of men and women from several churches will be travelling to Tonalea this coming March to provide fellowship with love, labor with shovels, and wide eyes to see this potentially great mission field on the reservation. We are estimating the building project being underway when we come to assist and celebrate with the Red Lake believers in late March. We are anticipating not only the success of the project but the building of relationships between us for His glory. A brochure will be sent to all interested churches and all churches in California regarding the project during the final week of November. [Connect:] To pray for this project or request a brochure, contact the MacMillan’s at robert@tracygrace.net or call (209) 836-4848. 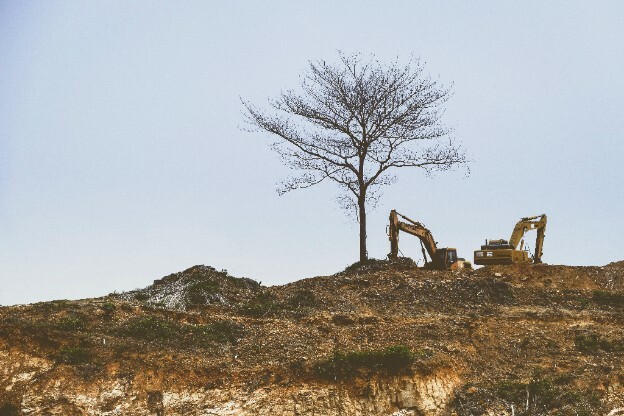 This story, by Robert and Sharon MacMillan, pastor and wife at the Grace Brethren Church in Tracy, Calif., first appeared in GraceConnect eNews. To subscribe to the weekly e-newsletter that includes news and information from congregations in the Fellowship of Grace Brethren Churches, click here.